It’s been a while since we’ve had a race report on the site, so thanks to Rob Wishart for submitting this terrific piece. 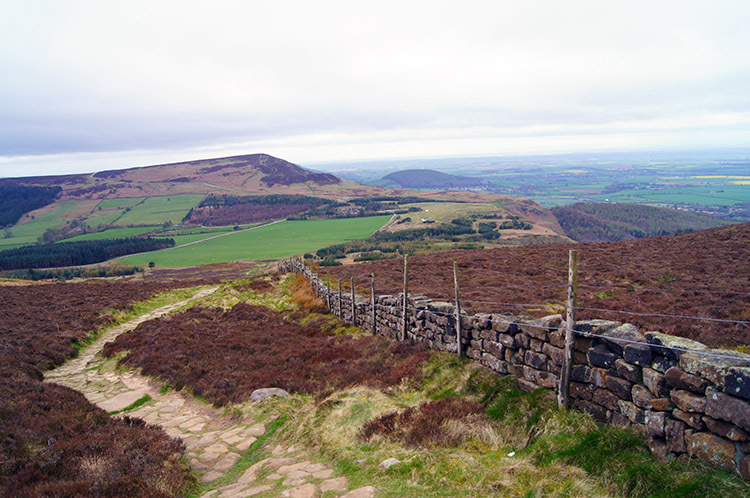 Hardmoors is the name of a series of races, mostly trail marathons & ultras, that happen on the North York Moors. Usually the route is along the Cleveland Way path. Most of the regulars are Smoggies and Yarkshires but the longer ones draw in Scots, Southerners, Germans etc! 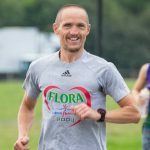 Ultras are really about finishing, not glory, but there are prizes for 1st male, female, vets and uniquely “shires” – runners weighing over 14 stone! HM55 was one of the first ultras I’d heard of and it’s hovered on the bucket list for years – always postponed in case it wrecked my Spring marathon campaign! But a good marathon PB last year means I could rest on my laurels, risk injury/fatigue and get it done in 2016! 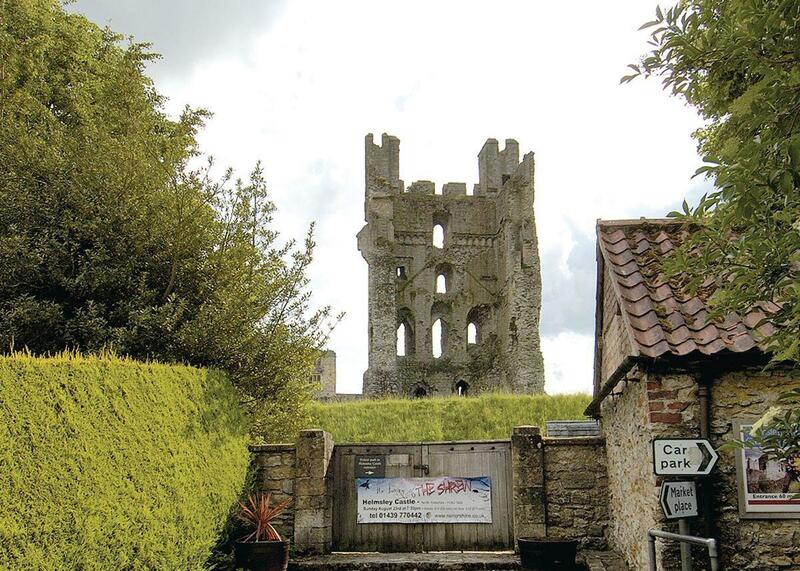 This year’s route was Helmsley to Guisborough. I got a lift to Guisborough, camped in a field by race h.q and boarded an early coach to the start on Saturday morning. Sounds a lot but people die of exposure in the hills every year – don’t let it be you! At 9ish we jogged out of the village, past ruined Helmsley castle. Last time I did a Hardmoors there were a few dozen runners – now there’s about 300! The first few miles were muddy tracks through farms and forests where the crowd thinned out. I’m well used to a backpack (got no car!) but some runner’s loads were bouncing around and adding to their problems. At work people say “how do you run 55 miles?!? !” and as I patiently explain, you don’t run constantly: If it’s a steep hill you walk up it – your energy has to last all day. And when you do run, it’s not flat out. If you’ve got food & water, use it. Eat and drink before you weaken as by then you could be on a downward spiral. I’ve learned all this the hard way! Usually the view was heather moors with grouse cackling as we passed. Some running was on earthen tracks, some cobbles, some paved with flat stones. These were slippery enough – I wouldn’t fancy this in wet weather! When at the edge of the escarpment you could see miles of farm fields way down below. 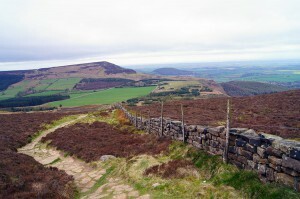 Parts of the North York Moors are well used…not just walkers but motorcyclists and hang-gliding in some places! Suddenly I was surprised when someone shouted my name! Turned out to be former TBH’ers Ryan Hogben and Emma Wright, walking the dog and looking out for runners! 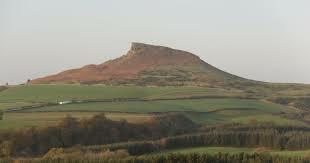 Around halfway you can spot Roseberry Topping. It’s only 6 miles from the finish but because it stands isolated from the rest of the plateau you can see it from much further away – you have to go up it to a checkpoint (forgot to mention, there are cut-off times to reach the checkpoints. Well, can’t leave the marshals out all night on windswept moors!). If you are having a hard time to figure out what type of tool to buy and where you can buy that tool at the lowest price, then I would suggest you visit Tool Nerds website. 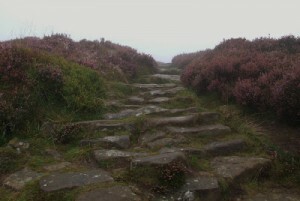 When I eventually did get there, as always going up was easy but the slippy stones put me off the descent! Felt safer going off-piste and staying on grass! The descents were knacking my knees but I was happy with overall pace. I was up and back down Roseberry before dark. But now it was headtorch time! Dimmer than I remembered and I was fuming at a certain supermarket’s dodgy batteries – but maybe it was misty as well as dark! So – not knowing the route I stoopidly took a wrong path into some woods….20 minutes wasted in there!! I got directions from a local (who also had a torch!) and got back to the Cleveland Way. Back in the game. A few of us teamed up to find the last checkpoint, after which the route got much easier being near Guisborough. Suddenly it was in the town streets, vaguely familiar and I zoomed off to avenge the lost time in the woods. Great read Rob. Beautiful part of the world to run. I’ve done the path from Guisborough to Fyle. Always nice to bump into Ryan and Emma to. They have a knack of appearing from know where. Well done mate. You take everything in your stride and make the extraordinary almost the norm. No transport or accommodation. No problem, I’ll just get a lift and camp in a field haha!! love it. Good luck in your future races. and have fish n chips as a pre-race meal!! the Bard of Gateshead shows once again it’s never a matter of resources but always of resourcefulness great run Rob and great report, almost made me want to run it! Well done Rob. Very entertaining report as usual!